This filter measures exactly 18-5/8 x 26-5/8 x 7/8. Tired of having to remember to buy that furnace filter every 3 months? Tired of your house being dusty? 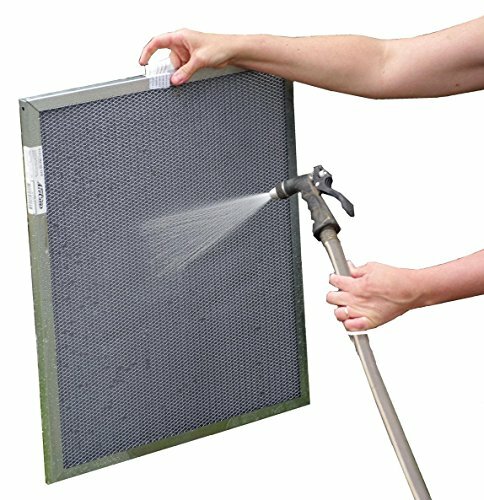 Replace your disposable air filter with a washable electrostatic filter. It traps 10X more dust and allergens than cheap disposables, has a durable metal frame and comes with a lifetime warranty. Just hose off, allow to dry for 15 minutes and reinstall.